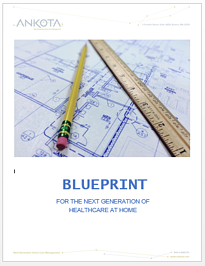 National Association of Home Care (NAHC) Proposes New Positioning "Healthcare at Home"
Along with the above articles and HCTR itself, Tim and Roger McManus have a new book availble on entrepreneur and home care that we feel our readers will be interested in as well. Here's a short write-up of the book as well as a link to purchase it. The title hits home to those who "walk the walk"; Entrepreneurial Insanity in the Home Care Industry. It may feel familiar. The book challenges the owners of home care agencies to look at whether they are limiting their scope to that of a "small business" or they have expanded their view to be that of an entrepreneur. Arising from the experience of the co-authors, Tim Rowan and Roger McManus, the 180-page book is packed with insights that will have both Private Duty and Home Health agency owners nodding in recognition of their own journey. Entrepreneurial Insanity combine Roger’s lifetime in business development with Tim’s half a lifetime in Healthcare at Home. McManus, supplied the brilliant, experienced-based lessons for business owners while Rowan adapted his concepts to specifically target the needs and concerns of Healthcare at Home businesses. The book defines the question and describes how an agency owner can tell the difference between small business ownership and entrepreneurism. And, surprisingly, the analysis is less about money than it is about attitude. "What we have tried to do is get the owner of a healthcare at home business to examine his or her role in the business", Rowan says. "Interestingly, the owner who is vital to the daily operation of the business – the person the employees know has all the answers – probably owns a business worth far less than the owner who is virtually invisible." The book was conceived as the co-authors were engineering programs that fully manage the social media programs for agencies, including a special in-home system for publishing positive impressions of patients and their families on review sites like Google, Yelp and Facebook. The book is available at the following link: http://bit.ly/hc-book.